Carlos E. de Souza received the B.E. degree in Electrical Engineering from the Federal University of Pernambuco, Brazil, in 1976 and the doctoral degree from the University of Paris VI, France, in 1980. From 1980-1984 he was an Assistant Professor at the Department of Electrical Engineering, Federal University of Uberlândia, Brazil. In 1985 he joined the Department of Electrical and Computer Engineering, University of Newcastle, Australia and worked there till 1997. Since 1997, he has been a Professor at the Department of Systems and Control, National Laboratory for Scientific Computing (LNCC/MCTI), Petrópolis, Brazil, and served as the Head of Department and the Director of the Research Center for Control of Dynamic Systems (2000-2006). He has held long-term visiting positions at the Laboratoire d′Automatique de Grenoble (France), the National Laboratory for Scientific Computing (Brazil), and the University of Newcastle (Australia). He has also held short-term visiting positions at universities in several countries, including Australia, Brazil, France, Israel, Singapore, and Switzerland. He was Associated Editor of the International Journal of Robust and Nonlinear Control (IJRNC) and of the IMA Journal of Mathematical Control and Information, Guest Editor of the IJRNC Special Issue on H-infinity and Robust Filtering, and as member of the Editorial Board of the IJRNC and the IEE Proceedings Control Theory & Applications. 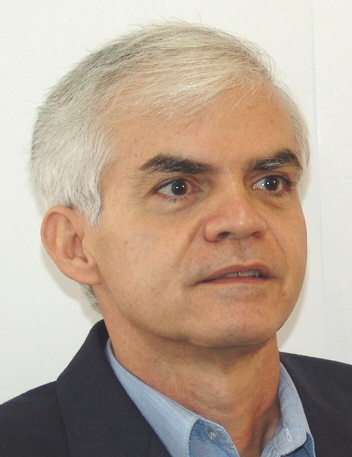 He served as member of the Council of the Brazilian Space Agency (as the representative of the scientific community), Chairman of the Technical Committee on Linear Control Systems (2002-2005) of the International Federation of Automatic Control (IFAC), and as a member of the IFAC Council for the term 2005-2008. Dr. de Souza is an IEEE Fellow (for outstanding contributions to robust control and filtering), an IFAC Fellow (for fundamental contributions to robust control and filtering, time-delay systems, and Riccati equations), a Fellow of the Brazilian Academy of Sciences, a Fellow 1A of the Brazilian National Research Council, and a Fellow of the Brazilian National Academy of Engineering. He was a Distinguished Lecturer of the IEEE Control Systems Society for 2004-2008. His research interests include stability analysis, robust control, robust signal estimation, time-delay systems, 2-D systems, and Markov jump systems. He has published over 260 peer reviewed scientific papers (87 in international journals) and to date his journal papers have received 6279 citations in the Web of Science (under the names: de Souza CE; deSouza CE), with an h-index of 39, including 17 papers with more than 100 citations His citation count in Google Scholar is 13904 with an h-index of 55. Possui graduação em Engenharia Elétrica pela Universidade Federal de Pernambuco (1976) e doutorado em Sistemas de Controle pela Université de Paris VI (1980), França. De 1980 a 1984 foi Professor Adjunto no Departamento de Engenharia Elétrica, Universidade Federal de Uberlândia, de 1985 a 1997 trabalhou no "Department of Electrical and Computer Engineering, University of Newcastle", Austrália, onde foi Professor Titular, e desde 1997 é Pesquisador Titular do LNCC. Em 1992-1993, trabalhou como Pesquisador Convidado no "Laboratoire d′Automatique de Grenoble," França. Foi também Professor Visitante (curta duração) em universidades e institutos de pesquisa da Austrália, Brasil, Cingapura, EUA, França, Israel e Suiça. Foi Coordenador do PRONEX/CNPq "Controle de Sistemas Dinâmicos", membro do Comitê Assessor de Engenharia Elétrica e Biomédica do CNPq, membro do Conselho Superior da Agência Espacial Brasileira (representante da Comunidade Científica), membro do "IFAC Council" (IFAC: "International Federation of Automatic Control"), Presidente do "IFAC Technical Committee Linear Control Systems", membro do Conselho Editorial do periódico internacional "IEE Proceedings-Control Theory and Applications", Editor Associado e membro do Conselho Editorial do periódico "International Journal of Robust and Nonlinear Control" (IJRNC), Inglaterra, Editor Convidado do "IJRNC Special Issue on H-infinity and Robust Filtering" e Editor Associado do "IMA Journal of Mathematical Control and Information", Inglaterra. No período 2000-2010 foi membro de Comitês Internacionais de Programa de cerca de 30 congressos internacionais de renome. Proferiu "Keynote Speeches" nos seguintes congressos internacionais: "Seventh IEEE International Conference on Control and Automation", Christchurch, Nova Zelândia, 2009; "IFAC International Workshop on Time-Delay Systems", Grenoble, França, 1998, "X Congresso Brasileiro de Automática / VI Congresso Latino-Americano de Controle Automático", Rio de Janeiro, 1994. Dr. de Souza é pesquisador do CNPq-nível 1A e recebeu as seguintes distinções: "IEEE Fellow" - "for outstanding contributions to robust control and filtering" (IEEE: "Institute of Electrical and Electronics Engineers", EUA); "IFAC Fellow" - "for fundamental contributions to robust control and filtering, time-delay systems, and Riccati equations"; Membro Titular da Academia Brasileira de Ciências; Membro Titular da Academia Nacional de Engenharia, Brasil; "Distinguished Lecturer" da "IEEE Control Systems Society" (2004-2008); foi destaque na Revista VEJA, edição 1878 de 3/11/2004, como o pesquisador brasileiro mais citado na área de Engenharia no período 1994-2004.